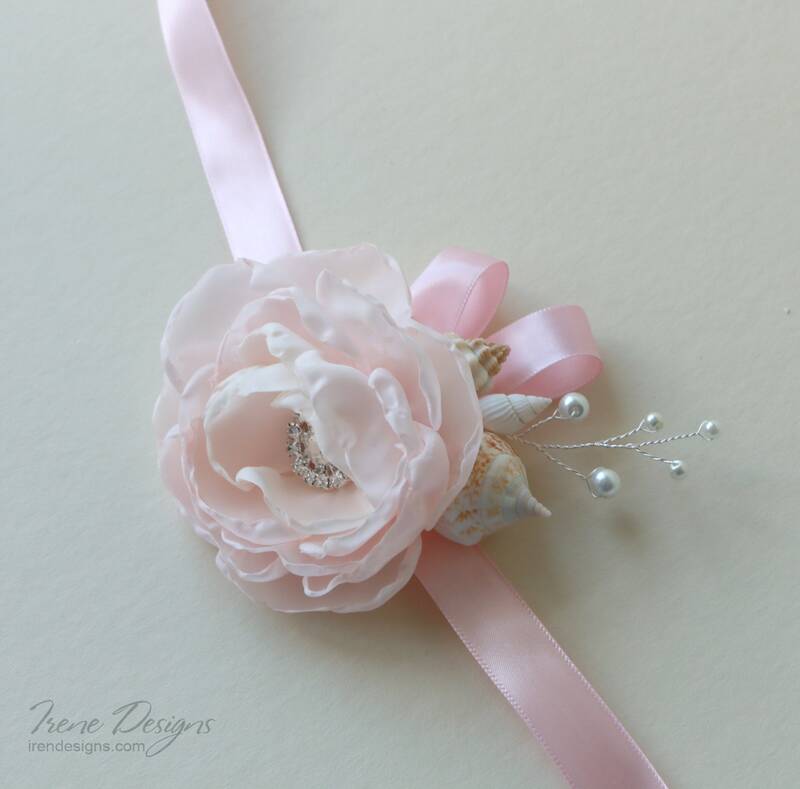 Petal pink seashells corsage. Сorsage for beach wedding. Petal pink seashell corsage with pearl beads. Aqua blue and ivory seashells corsage. Сorsage for beach wedding. Turquoise seashells boutonniere for beach wedding. Seashells boutonniere. Ivory seashell corsages with aqua blue beads. Navy blue coral boutonniere. 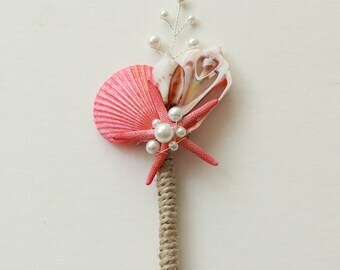 Seashell boutonniere. The bouquet was exactly what I wanted and more! I’m so impressed with the detail of each flower and how nicely is was packaged. I highly recommend! So beautifully made! The inner part is lined with felt that is seamless with the back of the shells. Very nicely packaged, in a sleek box adorned with a little ribbon. Bubble mailer held strong for delivery, very glad it arrived safely! My friend is getting married and I plan on gifting this to her for Valentine’s Day! I'm thrilled about the product, its very beautiful and refined, this object will be the perfect one as a reminder of our magical day. Turquoise and beige boutonniere for beach wedding. 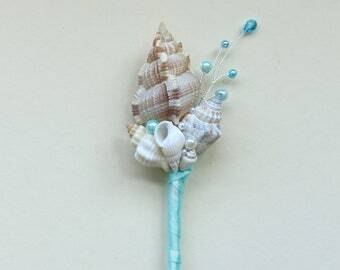 Seashells boutonniere. Set of 1 seashell bride's bouquet and 4 bridesmaid bouquets for beach wedding. 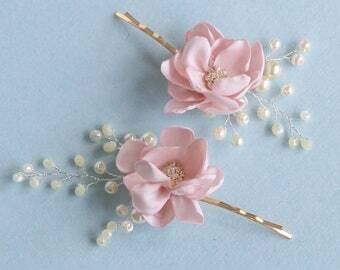 Petal pink wedding bouquets set.